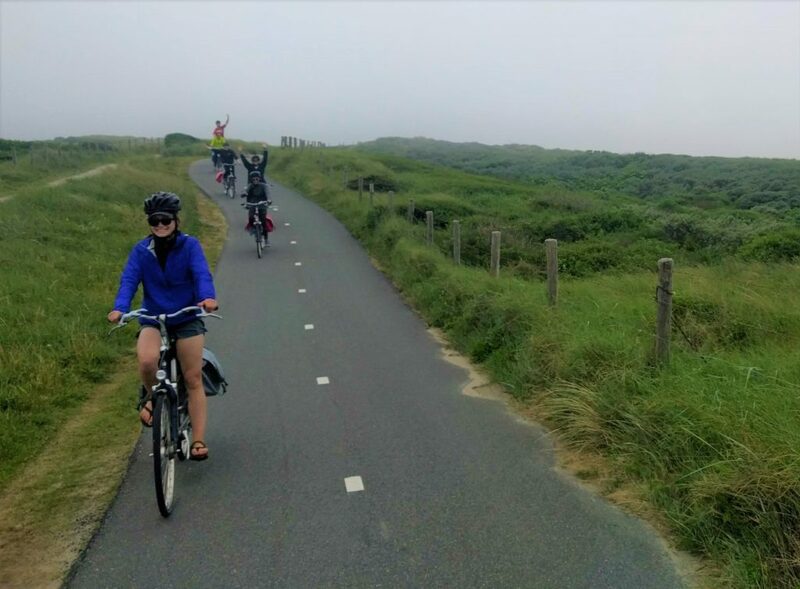 The sand dunes we biked through on our way towards the ocean were much greener and larger than I had expected. 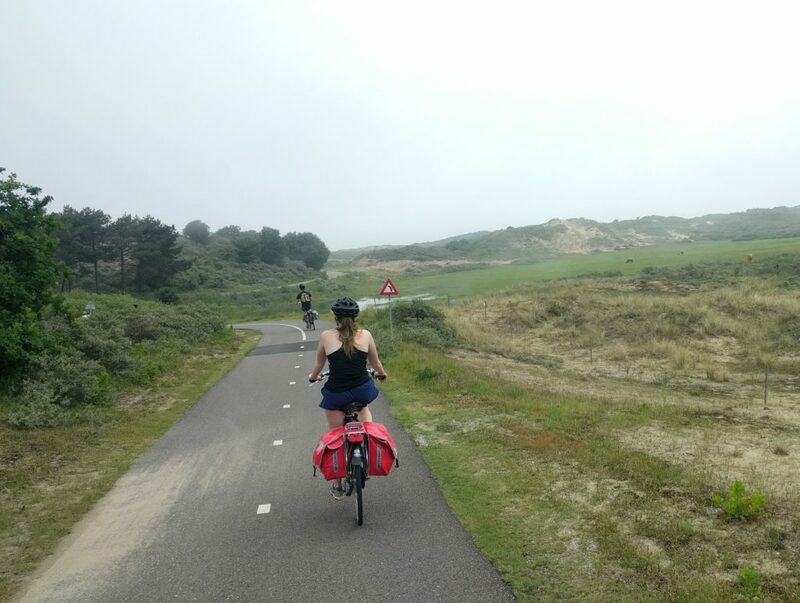 I noticed that the inland dunes on the way to our tour meeting place on the coast of the North Sea had been well-reserved and people had not tampered with it. The Dunes were beautiful and they also serve an important purpose for the safety of the community in Katwijk. Katwijk falls in one of the 53 dyke ring areas in the Netherlands. The one we toured, Dijkring 14, was especially large, with an area that would cover much of Lake Champlain! Infrastructure improvements and flood defenses in the area include a dyke, an underground parking garage, and large built sand dunes. The parking garage was placed underground, with sand dunes built on top. Not only does this enhance flood protections, but hides a large structure from view from the beach and town. It was amazing how discrete this extremely large parking garage was. 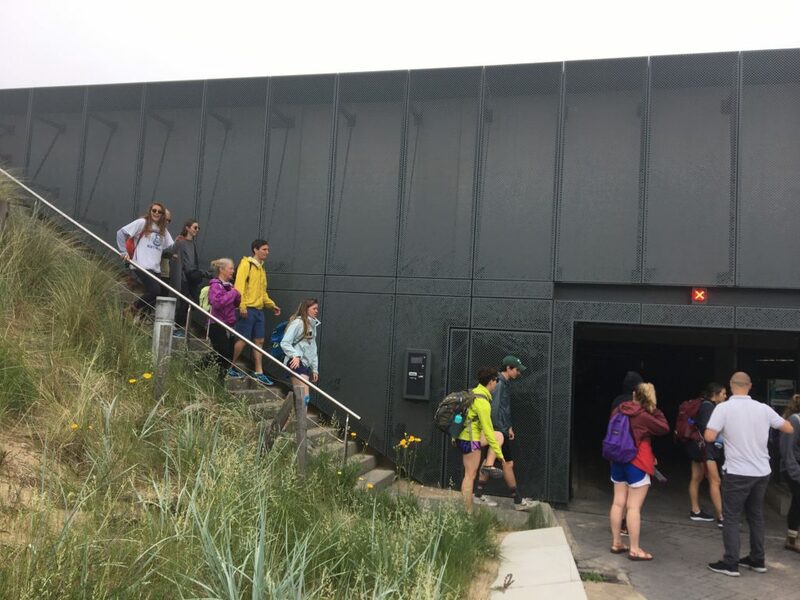 The parking garage was below ground with a sunken entrance, making it invisible from the beach and town, with built sand dunes on the surface. Our tour guide Rudolph walked us through the construction of the garage, dyke, and sand dunes. It was interesting to hear about how conscientious and aware people are of the power and sheer force of the ocean. This drives the willingness to invest and build for a 10,000 year flood (in America, we often plan for a 100 year flood) that may cause severe and life threatening events, and may become more frequent in the future with sea level rise. The focuses on safety, preservation of the environment, and long-term planning are certainly powerful aspects of Dutch water management.